A darker tone than you would expect from a mid '80s teen comedy. 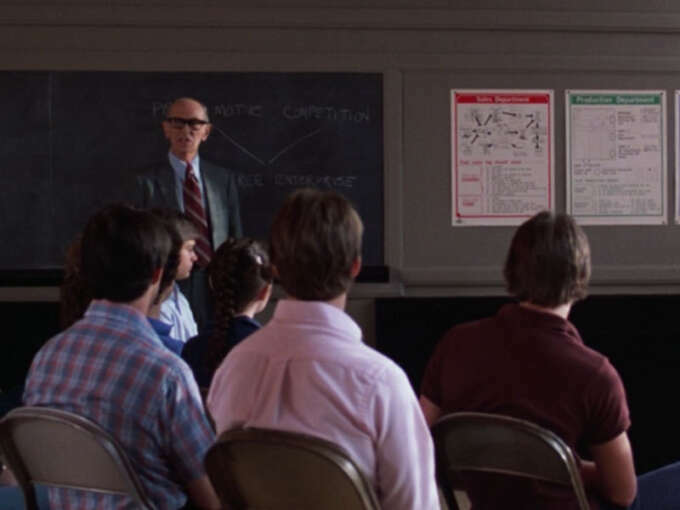 Style wise the 1983 film is caught right in the middle of that decade’s preppy boom. 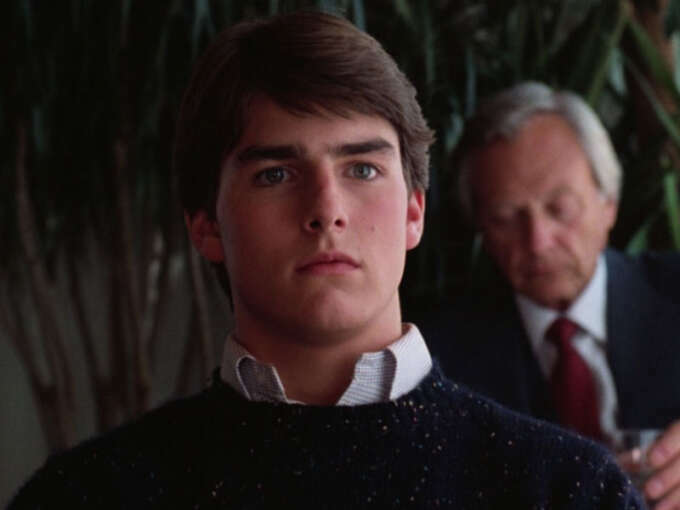 Preppy existed as a sort of hyper-capitalist ‘Ivy League look’, shot through with pastel coloured sportswear and casual clothing and with less concern for tradition than status. It was the perfect uniform of the Reagan-era “Greed Is Good” America. Oxford cotton button downs and madras remained a staple but they were as likely to be paired with blue jeans as chinos, and with tones and patterns often much brighter than Ivy’s mid '60s heyday. 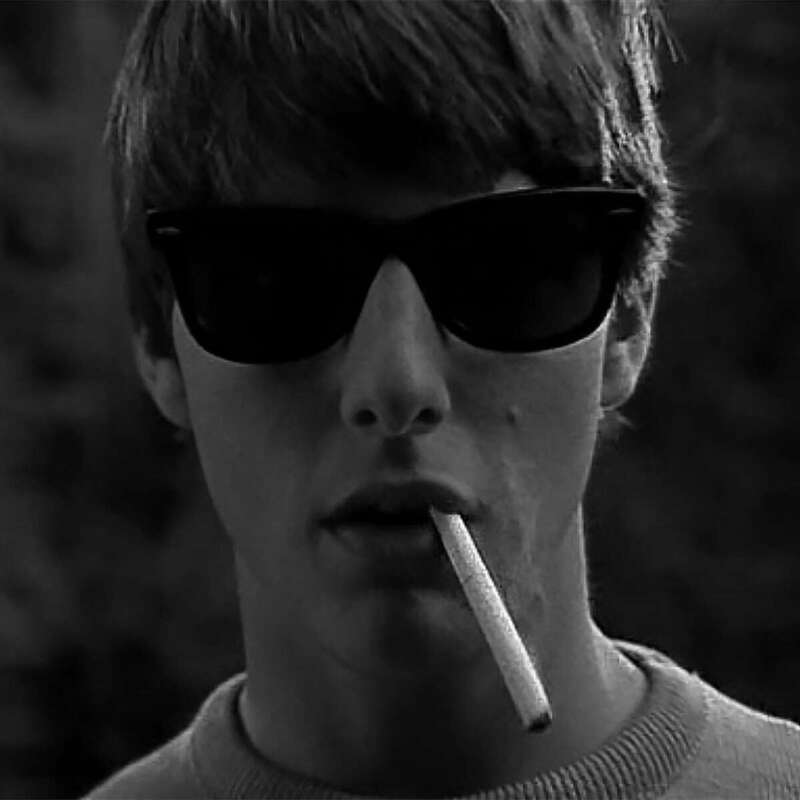 This was played up to a cartoonish extent as the decade wore on but in the time of the film it was still relatively paired back, a refreshingly sporty twist on the Ivy uniform: more polos, sneakers and jeans perhaps, but alongside the comforting staple oxfords, shetlands and boat shoes of the earlier style. 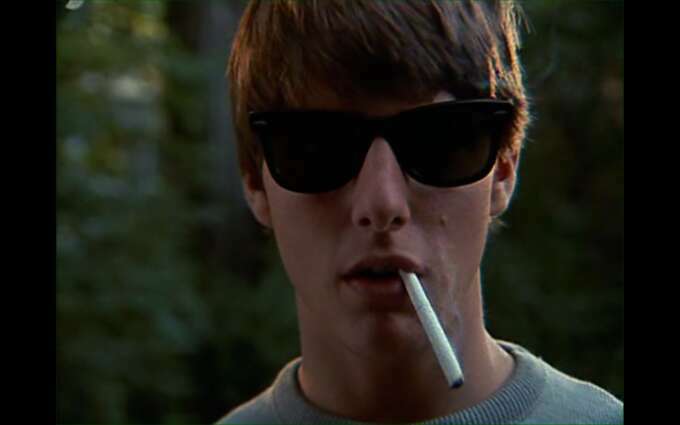 While decades of lazily aspirational clothing from high street retailers like Abercrombie and American Eagle might have diluted the impact of preppy, Risky Business shows that it remains a worthwhile reference for classic dress and I’ve tried to distil the best of the film’s style to create a preppy look suitable for 2015. 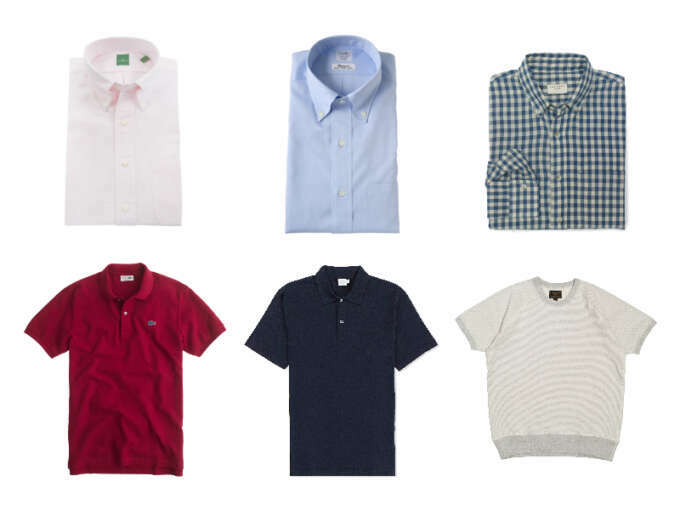 Clockwise from Top Left: pink university stripe oxford from Sid Masburn,'New York' oxford from Kamakura Shirts, Indigo Gingham shirt from Club Monaco, National Athletic raglan sweat-t from Lost & Found, jersey polo from Sunspel, Lacoste for J.Crew polo from J.Crew. 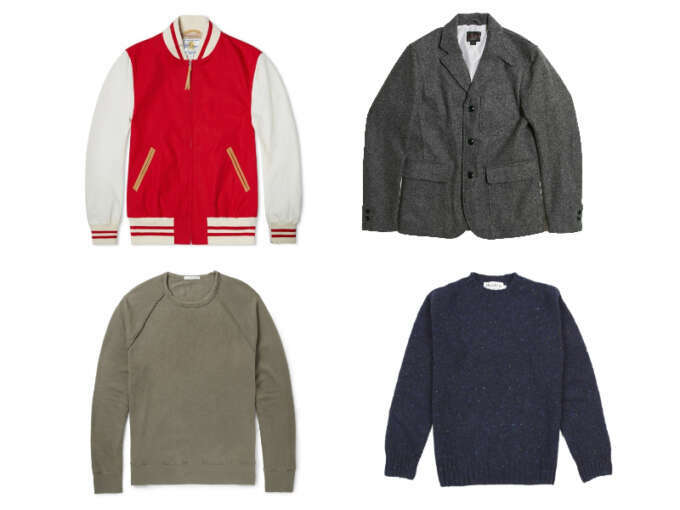 Clockwise from Top Left: Golden Bear varsity jacket from END clothing, Woolrich 'Clem' blazer from Lost & Found,'vintage' fleece sweatshirt fromJames Perse, Harley Donegal fleck sweater from Dicks Edinburgh. 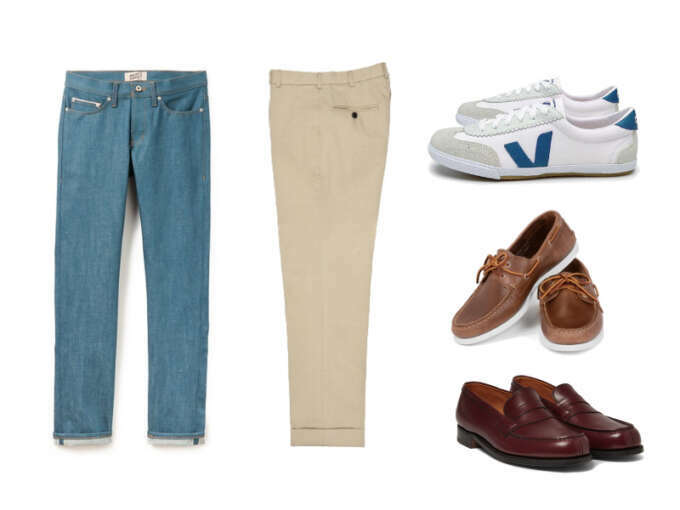 Trousers from left: 'Cerulean'blue jeans from Naked & Famous , Khaki heavy drill trousers from Sid Mashburn, Shoes from the top: Volley sneakers from VEJA (in the film Cruise is wearing what I'm pretty sure are Nike Cortez but they don't seem to be available in that style, these Brazilian made Vejas have a similar look), Read boat shoes from Rancourt & Co, 180 loafers from J.M. Weston. 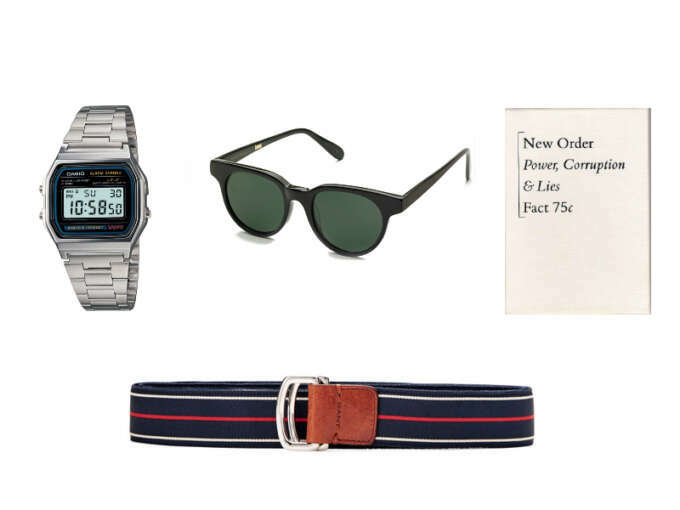 From top left: vintage style watch from Casio, State sunglasses from Han Kobenhaven, New Order - Power, Corruption & Lies Cassette tape: a 1983 Classic, grossgrain belt from GANT.